The probability of Carrick Swan drawing Carrick Davins in the South Senior Hurling Championship was 10/1. The probability of Carrick Swan drawing Carrick Davins in the Co Senior Hurling Championship was 496/1. The probability of the two teams drawing each other in both? 4,960/1. If you'd €2 on it, you'd have got €9,922 back from Paddy Powers. If you've €2 on the Swan Lotto, this coming Thursday you could win a massive €10,500. 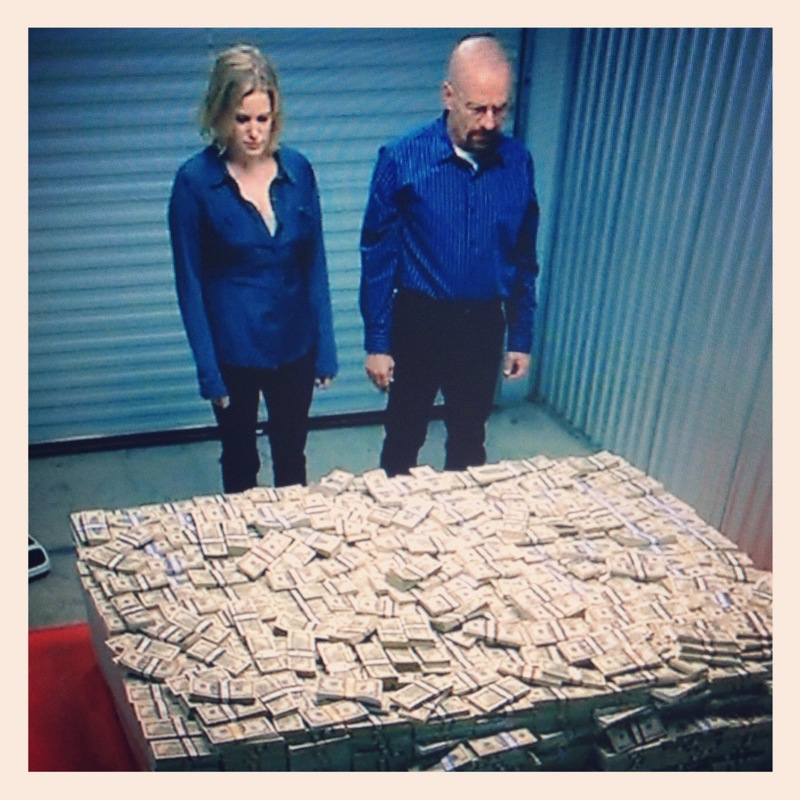 I'd change it into €5 notes and make a pile similar to Walter White (below). What would you do?